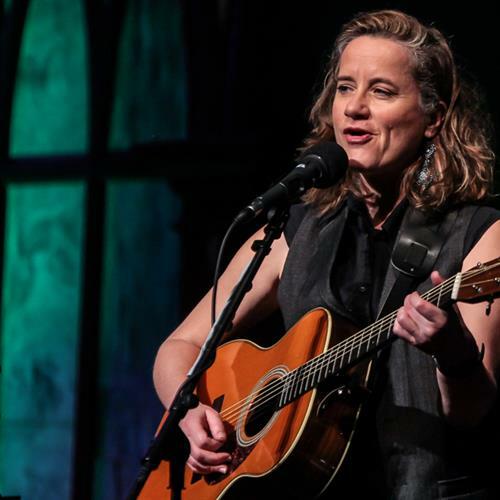 Old Sloop Coffeehouse is proud to present a concert featuring Susan Werner Saturday, April 14, at 7:30 PM at the handicap-accessible First Congregational Church of Rockport, 12 School St.
Susan Werner composes skillful songs that effortlessly slide between folk, jazz, and pop, all delivered with sassy wit and classic Midwestern charm. Throughout her expansive career, boundless versatility has emerged as a hallmark of Werner’s talent, and has proven to be a quintessential ingredient of her engrossing musical persona. Susan's latest project is a Broadway musical: “Bull Durham, The Musical,” based on the beloved 1986 MGM film. The show had a successful run at the Alliance Theater in Atlanta, and is seeking an opening on Broadway. Jim Trick brings real life perspective to his performance and an engaging and entertaining presence to the room. Joyful, sincere and magnetic are just a few of the words to describe Jim Trick. Advance tickets are $20. Visit the website at oldsloopcoffeehouse.org, Toad Hall Bookstore in Rockport, or The Bookstore in Gloucester. The suggested contribution at the door is $23 for adults, $15 for those 65 and older, $5 for those under 18, and $46 for families.